I'm telling you the truth; I swear! John swore he would always be there for his children. I swear by Almighty God to tell the truth, the whole truth, and nothing but the truth. My grandmother swears by a mixture of baking soda and vinegar to clean the oven. It was a surprise party, so all the guests were sworn to secrecy. You will hear the witnesses swear to the presence of the accused at the scene of the crime. After the boulder ran over his foot, Fred was hopping up and down and swearing. Swear words are words that are considered vulgar and offensive. Of course, how offensive people find them will depend on context and who you are speaking to. Most people will forgive a swear word or two if you’ve just had a nasty fright or hurt yourself, for example, and swearing in an informal context with friends who know you well normally won’t cause offense either. However, you should always be careful of swearing in public places, as people are likely to consider you to be rude and aggressive if you do so, and you should never use swear words in formal contexts. Sometimes, you’ll hear people using words that sound similar to swear words, because they want to avoid swearing. 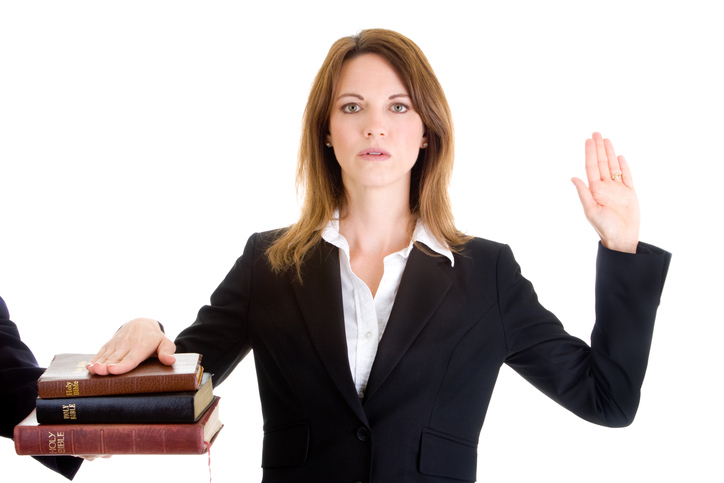 Swear, meaning ‘to take an oath,’ dates back to before the year 900. The Old English verb swerian, which became sweren in Middle English, can be traced back to the Proto-Germanic root swarjan-, from the Proto-Indo-European root swer– (to speak, talk or say). It is related to the Old Saxon swerian, the Old Frisian swera, the Old Norse sverja, the Danish sverge, the Middle Dutch swaren, the Old High German swerien, the German schwören and the Gothic swaren (all meaning ‘to swear or give an oath’), as well as the Old Church Slavonic svara (quarrel), the Oscan sverrunei (to the speaker) and the English word answer. The sense ‘to use bad language’ appeared in the early 15th century, developed from the idea of invoking sacred names. Swear in was first used around the year 1700, and is related to the original Old English use. Swear off first appeared around the year 1900. Swear was suggested by Yara, from Germany.